Exclusive residential spaces with rich features for you to truly feel alive! Thane is a city packed with modern infrastructure, incredible architecture, wide open spaces and people living in harmony. With the property prices in Mumbai soaring high by the day, a number of home buyers and investors have diverted their attention today. Being a part of the Mumbai Metropolitan Region (MMR), Thane offers fast and easy connectivity to a number of locations in Mumbai. 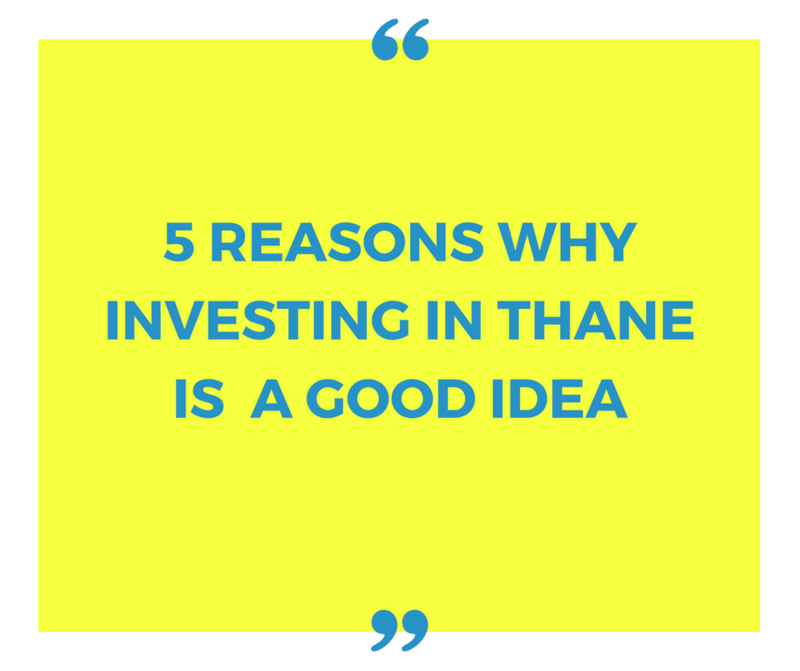 With Thane’s real estate market booming and a number of options to choose from, people can find better apartments with rich amenities and a higher level of luxury at a lower price. Needless to say, living in Thane lets you enjoy the best of both worlds. The proposed metro between Thane and Mumbai will reduce travel time and improve hassle-free commuting to a great extent. While a number of real estate companies are launching multiple residential projects, choosing the ideal project is very important for a modern-day living that will be loved for generations to come. 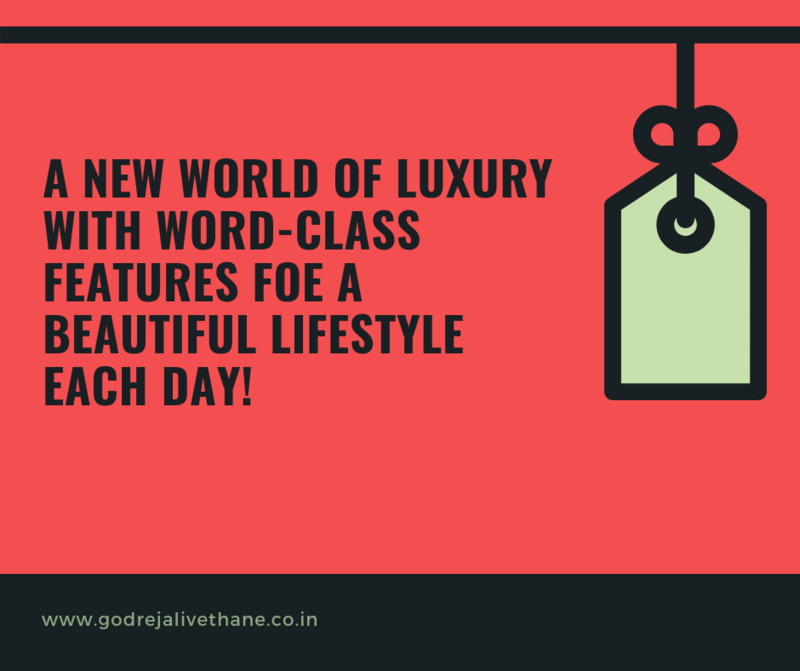 Godrej Alive in Thane by Godrej Properties Limited is a considerable option as this real estate company is known to offer premium luxury and an affordable price. 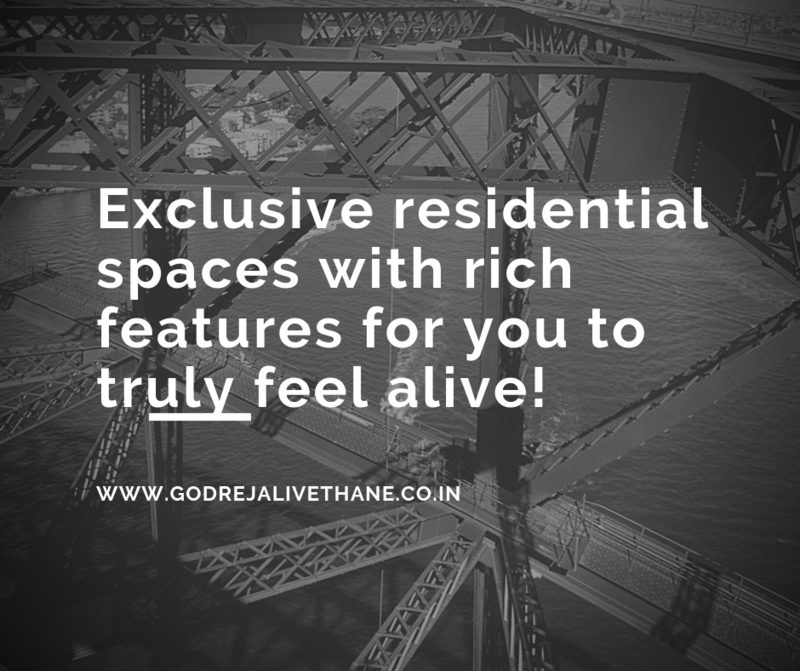 This residential development offers distinct variants of 2BHK, 3 BHK flats in Godrej Alive and 4BHK that are designed to please. The apartment carpet areas start at 787 sq. ft. and go up to a whopping 1469 sq. ft., providing beautiful space to meet all your needs and necessities. The Godrej Alive floor plans are perfectly crafted to meet every taste. This residential development is well-planned to keep you happy, active, entertainment and make the best of life! The apartments contain high-end vitrified flooring and ceramic flooring in kitchens, beautiful doors and windows, kitchen with multiple provisions for hassle-fee cooking, safety features and more. This development also offers an extravagant range of external amenities for leisure, fun and comfort, 24x7. They include a yoga deck, skating and skating area, swimming pool, amphitheatre, 25,000 sq. ft. clubhouse, dedicated area for senior citizens, an outdoor library and gymnasium, sports facilities and a dedicated basketball and tennis court, play-area for kids, culinary club, crèche, jogging track, multipurpose hall, landscape garden, wide open space and well-trained security. Situated at Mulund-Thane Circle in Thane, Godrej Alive at Mulund Thane Circle offers a convenient lifestyle as it has a number of landmarks in its vicinity. Places like schools, colleges, malls, shopping centres, supermarkets, general stores, cinemas, cafes, restaurants, medical centres, hospitals, clubs, resto-bars and a lot more can be found and accessed without worrying about extended journeys. Starting at a budget-friendly price of Rs.1.89 Cr. and going up to Rs.3.90 Cr., the apartments at this development are super-affordable and definitely worth your savings. Choose from multiple payment plans, NRI services, home loans at decent interest rates and more for a convenient purchase.